Ask any realtor what makes a property valuable and he will say, "Location, location, location." With books, it's rarity, condition and demand. The old supply and demand equation is as true with books as any other commodity. Just because a book is old, it doesn't mean that it is valuable. There are plenty of bibles from the 1800s, but few people collect them. Ditto for poetry and most novels. When it comes to dog books, most breed books are collectibles, the earlier the better. Many early general reference books (such as encyclopedias) are desirable, but the price is low on most dog training books as well as those on care or veterinary issues. Dog books with great illustrations usually are collectible. Demand is fueled by availability, too. Compared to many other types of books, dog books have long shelf lives. Many titles had large print runs. Even those with smaller initial print runs have been reprinted over and over. Naturally, this keeps values down. Some titles were printed in limited editions or had only one small print run. Derrydale Press specialized in high quality limited edition print runs. Though Derrydale has resumed printing limited editions, it's the early titles that are most sought after by collectors. The famed dog illustrator Marguerite Kirmse produced two volumes printed by Derrydale. Marguerite Kirmse's Dogs, published in 1930, had a limited numbered edition of only 750 copies. In 1935, Derrydale published a 25 page volume by Kirmse called Dogs in the Field which had a limited numbered edition of 685 copies. Naturally, the prices on both are high. 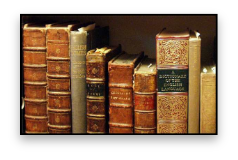 You will still find breed books which were privately printed in runs of 500 or 1,000 books. Early Denlinger books were sometimes produced in two simultaneous editions. One was for the general public and another was a limited numbered edition. One of the rarest of dog books is The Saint Bernard and English Mastiff and All About Them, by Bullen and Dicken. This book was the subject of a copyright dispute and the entire printing was recalled with the exception of 35 copies which had already been sold. So, should you ever stumble across one of these volumes, grab it. You have a real treasure. A signed copy can also enhance the demand for a volume, particularly if the author played a significant part in the history of dogs or was a famous breeder. There are some booksellers who believe that an inscription from the author lessens the price of the book or counts no more than a lone signature. For me, it depends on the content of the inscription. I have a signed edition of the The Modern Pointer, by Hochwalt, given to the trial chairman of a national field trial. In it, he thanks him for perhaps the best field trial he has ever attended and tells him how much he enjoyed judging. I have seen an early copy of the two volume edition of James Watson's The Dog Book, perhaps the finest early American dog book. Watson's inscription starts on the front endpages and continues to the inside back of the book. In the inscription, he thanks the book's owner for showing her Collie under him, saying that it's the finest specimen of the breed he's seen that year and that it reminded him very much of his Ch. Glengarry. For me, this significantly ups the value of this already valuable work. Look on ebay or any website which carries listings for booksellers and you'll find the terms "rare" and "scarce." In ebay listings, you'll also sometimes see "vintage" used. What's really confusing about these terms is that there is no standard definition used by everyone. Even the Antiquarian Booksellers Association doesn't define them. It's enough to make buyers or novice book collectors throw up their hands! So, it's important to ask the bookseller to define the terms that they use. Before the internet, these terms were usually defined by how often a book came across the desks of those who dealt regularly in antiquarian books. Thus, a book which the dealer encountered once every five or ten years, would be considered "scarce," while one that was seen every ten or twenty years might be considered "rare." Here's the standard I use: a book that I have seen only once in every 10 years since I began seriously collecting, I classify as "scarce." Those volumes that I have seen only once in 10-20 years, I mark as "rare." "Vintage" is a term that seems to have spilled over from other fields of collectibles. It isn't really used by antiquarian booksellers. When dealing with an item labeled as "antique," the standard definition is that it is more than 100 years old. "Vintage" is applied to items that are less than 100 years of age. You will most often see this term on ebay where it is applied to items from the 1930s and '40s. Perhaps it should be more widely used by booksellers, as well. The other attribute that determines a book's value is its condition. There's really no understating the importance of condition. As an example, let's look at Youatt's The Dog, first published in 1845 and reprinted many times. (The first American edition was published in 1846.) In fine condition, a copy of this book would probably sell for $100. In poor condition, it would probably be listed at $20-25. Most booksellers use either the grading system employed by AB Bookman or a variation on it. This is an attempt to standardize the way books are described and serves as a shorthand in book descriptions. Though it's not used in the system, many dealers also add "new" and "as new" to their repertoire. See our Dogcrazy Grading System here. Those who advise people about collectibles always tell them to buy only those items in really good condition. 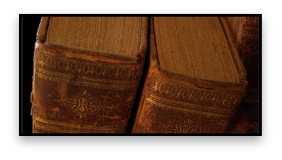 Book collectors are often advised to purchase only books in "very good" or better condition. This would be my advice with regard to recent books, but I disagree when it comes to older volumes. First, I began collecting dog books because I wanted to read them. I wanted the information contained in the books. My collection was definitely interactive rather than static. They were not just pretty books sitting on a shelf, but a handy form of reference. In the case of rare books, my philosophy has always been to take it, even if it was not in great condition. Some of the early books are just not that easy to come by so I grab them when I can, particularly if the price is good. I can always replace it with a book in better condition at a later time. Before we proceed, I'd like to discuss dust jackets. These are sometimes termed dust wrappers. Dust jackets weren't really used before the turn of the 20th century. Many dog books did not have dustjackets and many publishers today still opt for printed covers and forgo dust jackets. 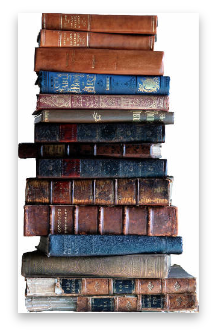 Today, collectors of many genres (general literature, etc) place enormous importance on the dustjacket. Indeed, an otherwise perfect book lacking a dustjacket may be considered only good. This is not generally true in dog books. There are some buyers who insist that all dog books in their collection have a dust jacket if one came with the original book. For others, it's not particularly important. The trend among many dealers lately is to describe and grade the dust jacket separately from the book. This is the method that I use. Naturally, a fine book with a fine dust jacket is going to command the highest price. in addition to the standard grade of a book, many dealers describe any damage. I usually try to do this because many of the people purchasing dog books may be novices who aren't really familiar with grading standards. Thus, it can take longer to write the description for a book in fair or poor condition than one that is graded as fine. Grading a book can be subjective so spelling out any damage or defects is a way to avoid misunderstanding. Many dealers also append a + or - to their descriptions. This comes in handy when a book falls between two classifications. Ex-library books should always be noted. For some dealers, an ex-library book automatically rates good or less. I don't subscribe to that ranking. I have books in my collection in which the only library markings are penciled notations on the title page and a stamp or bookplate on the endpage with the name of the library. Most commonly, though, ex-library books have several stamps and a pocket glued to the inside front or back cover. It's common to find books that were sold by libraries purging older volumes from their shelves. These generally have "canceled" or "withdrawn" stamps . Often, these marks are large and ugly and such books are generally graded good- or poor. In some dealers' listings, you will find the term MINT. This is usually a spillover from other areas of collecting. It's a term commonly used by comic book collectors. In book collecting, MINT usually equals AS NEW or FINE. On a separate page, I've included the general grading system that I use in ranking the dog books I sell.